The Hero System is still the best one for modeling a character. Unfortunately, it has reached a point where playability has been reduced for the sake of that goal. Check out Champions Complete. It’s 95% of the 6e rules in 240 pages. It’s small and a lot easier to read. 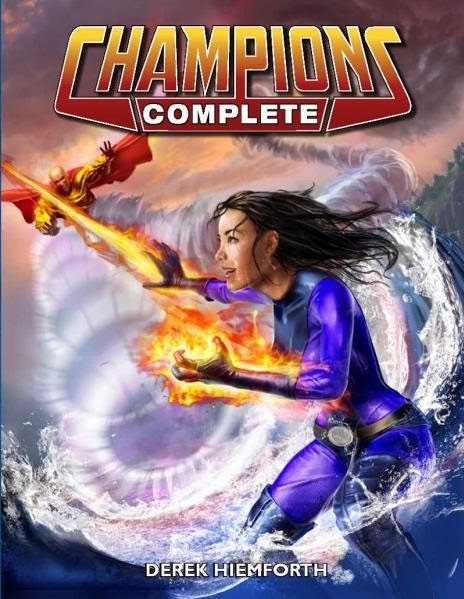 Definitely going read Complete soon. Been rebrowsing my Third Edition rulebook…which is 96 large print pages. At the time, we thought that was quite long! Don’t have my 1 and 2 copies anymore. couldn’t even buy 6th even if I wanted to…invariably stores had vol. 2 and not vol. 1 if they had ANYTHING in stock, and I don’t buy a game unless I can look through it first. But the sheer size is ridiculous. Was this debacle the undoing of Hero? 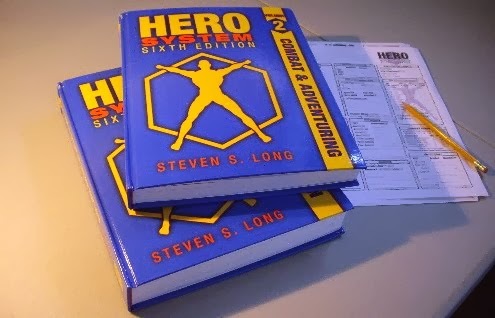 I’ll point out that the size of Hero volumes 1 & 2 isn’t all that greater than what you might get from a player of Pathfinder or D&D. I’ve seen people with crates of books (from both systems) as part of their play equipment.